A shift is happening in Occupational Hearing Conservation. Many of you have embraced this change since the beginning. 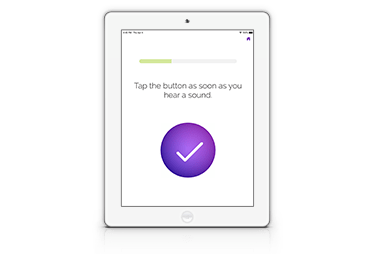 You can attest to how tablet audiometry – and SHOEBOX specifically – is helping you be more flexible while saving you time and money on your program and on the services that you provide your clients. But as the rest of you do your due diligence to assess the validity of tablet technology, some traditional incumbents have been attempting to instill fear, uncertainty, and doubt regarding this new, innovative way to monitor hearing levels. It makes sense that those who profit from the status quo would be resistant to change. Even if that change benefits service providers and employers alike. We realize that by enabling audiometric testing outside of a sound booth in a mobile van, we are disrupting the traditional model of occupational hearing testing. But in doing so, you should know that the clinical validity of our approach and the results we produce is a top priority for our entire team of almost 60 full-time employees. 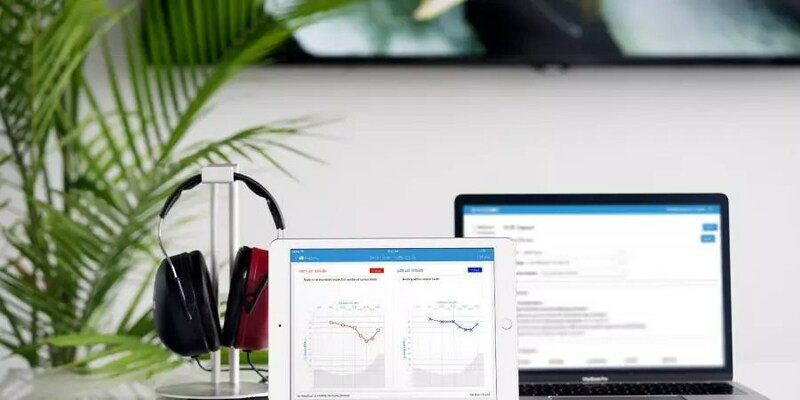 You may also be interested to know that 600 customers – some who are Fortune-500 companies — have generated over 100,000 audiograms using SHOEBOX Audiometry. 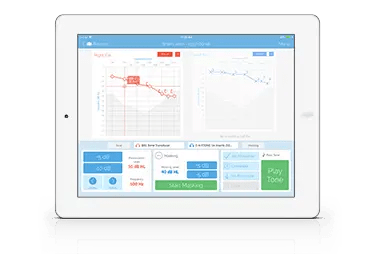 Audiologists and otolaryngologists from institutions including Johns Hopkins, Harvard, and Duke University use, and recommend, this highly adaptable solution. Notably, there are currently no fewer than 40 research projects and clinical trials underway that include SHOEBOX as part of an audiometric testing protocol. Can you imagine any audiometer being accepted by these users in these conditions if it hadn’t been proven to produce clinically accurate results? The most forward-thinking Hearing Conservationists – whether they manage their program in-house or provide services for their clients – have embraced the benefits of tablet audiometry. Their ultra-portability offers flexibility not possible in a mobile van. Namely, bringing the testing closer to the employee at a time that is most convenient for them. But there are several other important considerations. Where you test, who administers those tests, how equipment is calibrated, how noise is monitored, compliance requirements, and more. Let’s address a few of those now. Although sound booths can make hearing testing somewhat easier, they are not imperative to obtain a clinically valid hearing test. An entire ANSI Standard has been published to address this topic 1 :ANSI S3.1-1999. SHOEBOX Audiometry incorporates several sets of Maximum Permissible Ambient Noise Levels (MPANLs) to choose from depending on the test environment. Should these levels be exceeded during a testing session, there are several types of notifications that SHOEBOX will alert the administrator to. SHOEBOX Audiometry offers three testing modes – Manual, Automated, or Assisted mode – all of which can cater to the level of supervision that works best for your hearing conservation testing. The testing portion can easily be done without continuous supervision. In studies to date, researchers have reported that many employees prefer the self-testing method to conventional button-press audiometry. Whether you run your program in-house or provide testing as a service, leaving the employees to self-test can free up time for your administrator to perform other tasks. SHOEBOX Audiometry offers a special function where a daily tone check can be easily performed and documented within seconds. Testing all OSHA frequencies by means of a biological verification would take approximately 8 minutes per testing day. All SHOEBOX transducers are calibrated before they are shipped. ANSI/ASA S3.6-2010 requires calibration to within +/- 3dB accuracy. Our various transducers are calibrated to a much higher accuracy of +/- 0.1dB. There are a growing number of independent and peer-reviewed published validation studies examining different aspects of the SHOEBOX Audiometry family of products 2,3,4. These studies provide scientific calculations of sensitivity and specificity in various test environments with both a 5- and 10- dB comparative criteria. For several decades +/-10 dB was considered the acceptable test-retest credential for clinical equality in audiometry. We agree that +/- 5dB is a better comparator and SHOEBOX Audiometry demonstrates excellent reliability here. Several of these validation studies compare the Automated Mode of SHOEBOX Audiometry to conventional audiometry done by an audiologist in a double-walled sound booth with excellent results. Note that this level of accuracy is not what is being provided in many mobile hearing testing units. Often times, mobile testing trucks are using audiometers that are 30 years old and staffed by unskilled technicians. These audiometers are not known to be as accurate as the advanced clinical audiometers compared to in our studies. Our testing algorithm is highly sophisticated and employs smart algorithms to monitor for patient compliance and response accuracy. Furthermore, our customers report that in many cases the quiet clinic rooms where they test with SHOEBOX Audiometry have less environmental noise than experienced in mobile vans. The built-in iPad microphone does not exhaustively meet the technical specifications for an ANSI Type-2 Sound Level Meter (SLM), mainly due to its form factor and recalibration challenges. 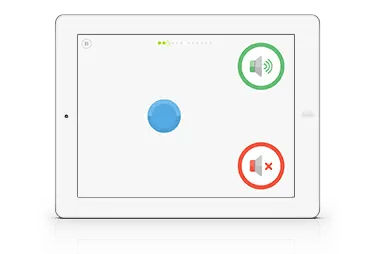 However, we have compared the iPad microphone to a Type-2 SLM and obtained acoustic equivalency in its ability to measure frequency-specific ambient noise levels. Notably, if a SHOEBOX customer would like to use a Type-2 SLM, there are many third-party options that can easily be used in conjunction with our mobile system. SHOEBOX offers several options for ambient noise monitoring at different stages of testing. Furthermore, to address the issue of background noise, SHOEBOX Audiometry offers noise-attenuating headphones that effectively insulate the employee’s ears against a significant amount of ambient noise during testing. To be clear, OSHA doesn’t endorse or certify audiometers. We do not claim that they do. We do, however, meet (and exceed) the requirements for an audiometer to be used in an OSHA-compliant hearing conservation program. SHOEBOX Audiometry is listed with FDA, Health Canada, and the EU. We maintain compliance to the ISO 13485 medical device quality standard and are audited annually by a third-party assessor. We meet or exceed all the requirements for a Type 3 diagnostic audiometer under ANSI/ASA S3.6-2010 and IEC 60645-1-2017 standards. There are a variety of tablet audiometers on the market, many of which are designed to be screening tools used by individual consumers to validate their own hearing. They are not designed to act as medical devices. Sometimes people confuse the two. 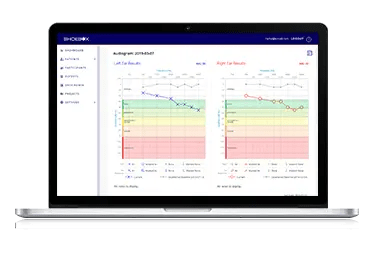 Our team of experienced and dedicated clinical, product, and market professionals are proud to offer a highly sophisticated and customizable hearing health solution, not a simple screening tool. The bottom line is that SHOEBOX Audiometry is potentially more accurate than testing in mobile vans, is preferred by the majority of employees over conventional testing methods and exceeds OSHA’s audiometer requirements. We hope that as you evaluate modern, mobile solutions for your Hearing Conservation program or practice that you will consider SHOEBOX Audiometry. If you are met with any reservations, reach out to us and give us a chance to respond. But we’re sure you’ll agree – this is the future of Occupational Hearing Conservation. Are you ready to make the shift? If so, consider booking a demo and let us show you how to get started today. Maximum Permissible Ambient Noise Levels for Audiometric Test Rooms. ANSI S3.1-1999. New York: Acoustical Society of America. Thompson GP, Sladen DP, Borst BJ, Still OL. Accuracy of a Tablet Audiometer for Measuring Behavioral Hearing Thresholds in a Clinical Population. J of Otolaryngol Head Neck Surg. 2015 Nov;153(5):838-42. DOI: 10.1177/0194599815593737 PMID: 26183518.